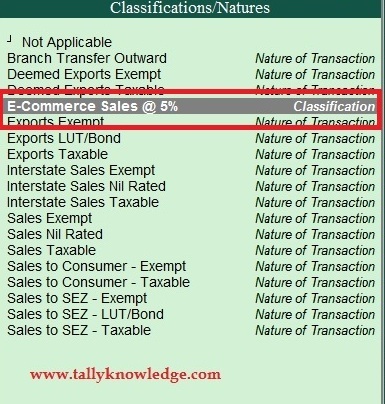 Home / GST-Tally / TallyERP.9 Lessons / How to Create Tax Classification in TallyERP.9? 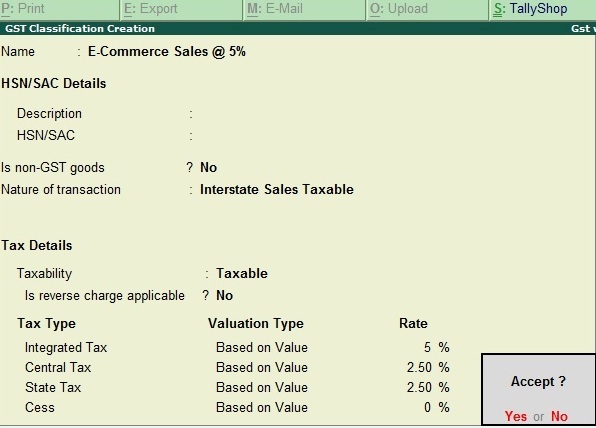 How to Create Tax Classification in TallyERP.9? What is tax classification in TallyERP.9? When you create Entry of Sales/ Purchase then a list of nature of classification is appear right side to select the specified nature of the sales/ purchase. 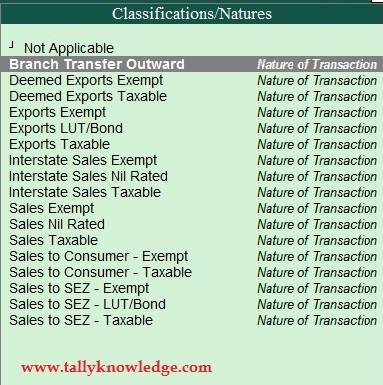 Above image shows you predefined Tax Classification in Tally under GST. For create your own tax classification. You can create a GST Classification in order to record the tax rate and other details for a category of goods attracting under a specific GST rate. When this classification is used in relevant masters and transactions, the details of goods and services will be automatically captured. To create GST Classification, enable the options Enable Goods and Service tax and Set / alter GST Details in statutory and Taxation feature under F11 features. In the company GST Details, Enable the option Enable GST Classification set to yes. 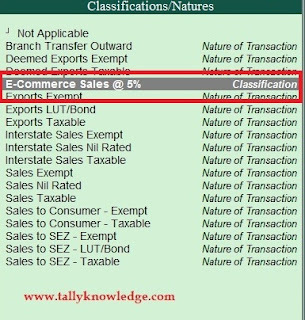 In above image, I have create Inter State sale to E-Commerce consumer and define tax rates thereon, and in below image you can see tax classification of Sale to E-Commerce consumer is appear in tax classification at right side in classification details. You can create each tax classification which will be applicable according to your accounting method.